FTC compliance lawyer Richard B. Newman is one of the nation’s leading online marketing, advertising, digital media and communications attorneys. He is at the forefront of changes that affect the advertising industry and is an invaluable asset to any business or individual that seeks to conduct business online in compliance with legal regulatory requirements. He possesses comprehensive knowledge of affiliate and telemarketing business models and focuses upon legal compliance reviews of national advertising campaigns. Richard possesses significant experience representing email marketers, telemarketers, advertisers, agencies, affiliate networks, publishers, lead generators, nutraceutical manufacturers, technology businesses, entrepreneurs, media and Internet companies in connection with compliance clearance and data privacy matters designed to effective walk the line between commerce and compliance while satisfying government expectations. The core of Mr. Newman’s practice involves assisting the performance marketing community to invest in their businesses and minimize regulatory threats by designing and implementing customized and effective preventative advertising compliance solutions that apply to specific Internet marketing campaigns and models. His practical knowledge and experience counseling advertisers and marketers on how to avoid regulatory scrutiny, coupled with his experience defending Federal Trade Commission investigations (CIDs) and enforcement actions, illustrates his unique qualifications as an FTC compliance attorney. His tech-savvy approach, insight into FTC investigation and enforcement policy, and years of experience representing digital marketers puts Mr. Newman in a favorable position when it comes to providing compliance advice and designing compliance programs focused upon regulatory guidelines, unfair and deceptive advertising, and data privacy requirements. Mr. Newman’s advertising compliance services include, without limitation, reviewing website pages and related disclosures, marketing models, email and telemarketing campaigns, privacy policies and social media campaigns. He also advises clients on claim substantiation, testimonials and endorsements, comparative advertising and promotional marketing law. Mr. Newman is a pragmatic, creative problem solver with a national reputation. He regularly advises on myriad issues relating to the dissemination of many types of advertising and marketing, and possesses unparalleled knowledge of the interactive advertising industry. He regularly provides industry-specific views and opinions to international and national news outlets, including BBC World News and Law360. As an FTC compliance lawyer, Mr. Newman is committed to assisting marketers’ efforts to conduct business online effectively and profitably. His well-rounded and practical experience sets Mr. Newman apart from other Internet attorneys. 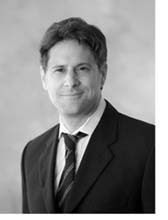 Mr. Newman is a partner in the law firm of Hinch Newman LLP. You can visit his law firm websites at FTC Compliance Lawyer and here where you can obtain a free consultation on most legal matters. Follow Mr. Newman on LinkedIn, Twitter and Facebook.